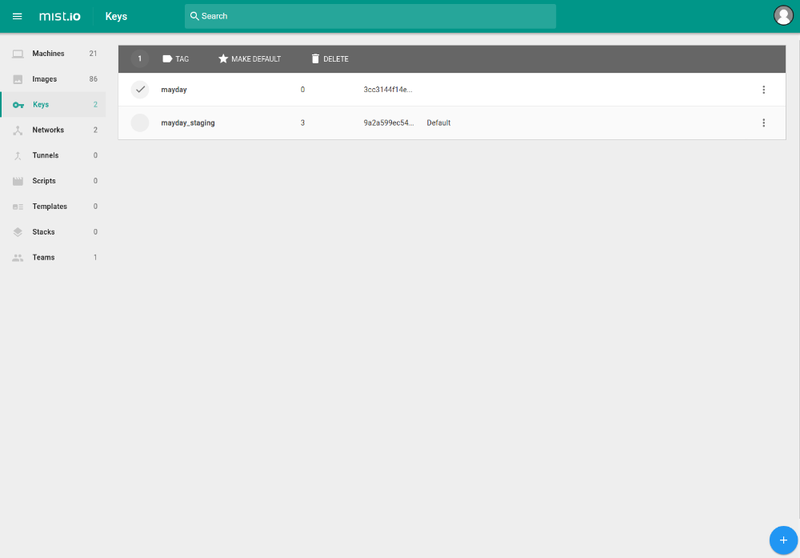 Mist.io, requires an SSH key to connect to the servers in order to provide the web shell, install the monitoring agent automatically, run scripts and provide actionable alerts and automation. If you want to skip providing SSH access, you can install the monitoring agent manually, but you will miss out all the other stuff. You can choose to generate a new 2048 bit RSA key, or import your own by uploading a key file or by pasting your private key on the text box. 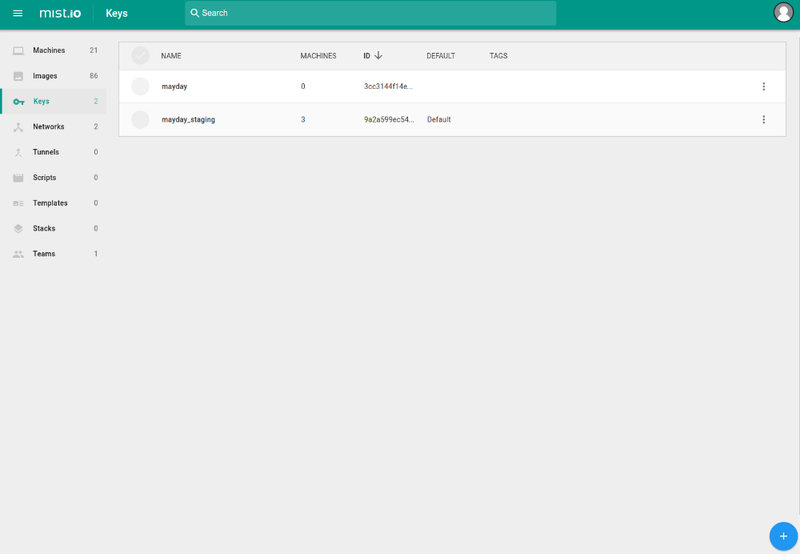 Click on Create and your key will be associated with your Mist.io account (or stored locally if you're using the open source version). 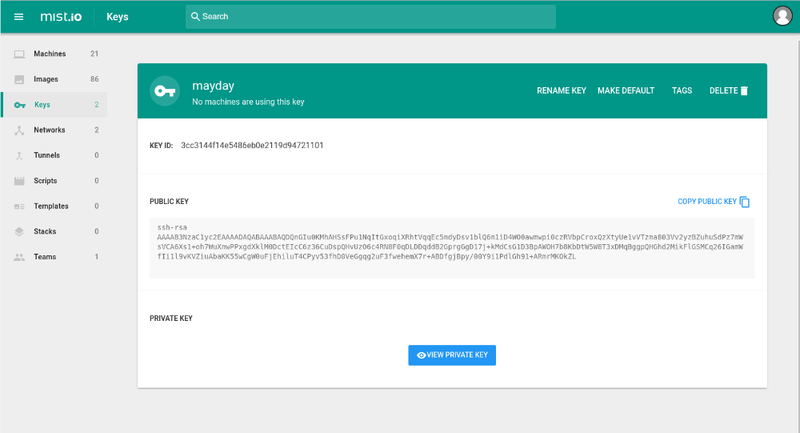 When you create keys with mist.io now you can choose to deploy this new key. 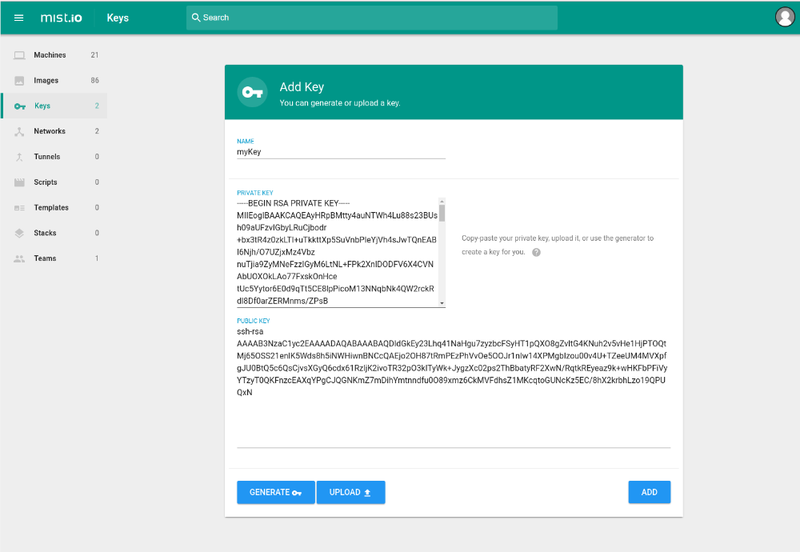 To use the key with an existing server, navigate to the Keys section, click on your key and copy the Public Key. 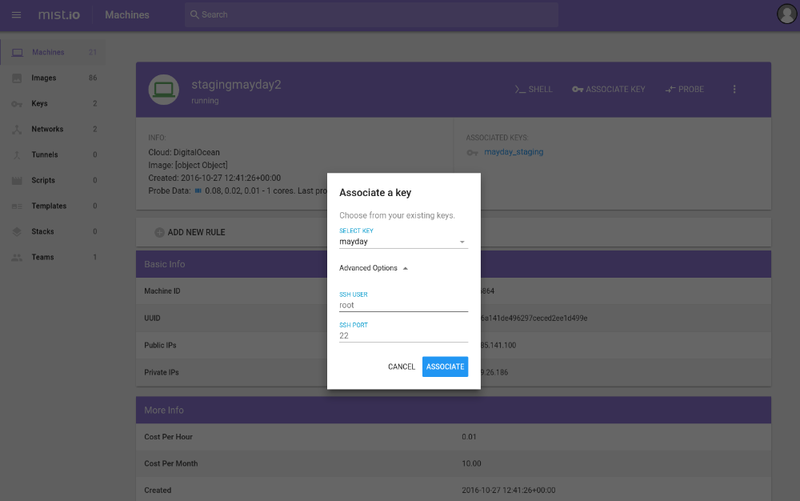 If you want to associate a specific key with a machine, navigate to that machine and click on the key button on the top right 'Associate key', select the key and mist.io will try to connect using root as username and port 22 as the ssh port. If you have a different user name you can provide it by clicking on the Advanced link.